THIS WAS TAKEN OFF OF A 2003 FREELANDER. BOTH DRIVER AND PASSENGER SUN VISORS IN THIS SET. Warranty is issued with every set of remanufactured fuel injectors. This warranty is non-transferable. The first step is to notify us of your specific issue. Features:Set, covered lighted mirrors. This is so we can make a claim against the carrier if appropriate. You can rest assured that all the parts we carry will fit the vehicles that are listed. Ekus Parts does all the research for you. 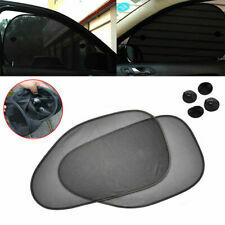 2 x Car Window curtains. Can be used for Side Window. 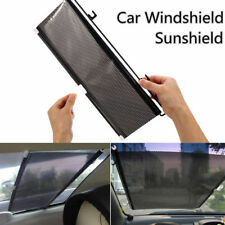 Reduce heat, Protect your car's interior from sun. FOR THE 2002 - 2005 LANDROVER FREELANDER. RIGHT SIDE TAN SUN VISOR WITH CLIP. YOU WILL RECEIVE THE EXACT ONE IN THE PHOTO ( IT MAY LOOK GREY IN PHOTO BUT REALLY IS LIGHT TAN ). FOR THE 2002 - 2005 LANDROVER FREELANDER. LEFT SIDE TAN SUN VISOR WITH CLIP. YOU WILL RECEIVE THE EXACT ONE IN THE PHOTO ( IT MAY LOOK GREY IN PHOTO BUT REALLY IS LIGHT TAN ). Car manufacturers make several different visors for the vehicles. 2002-2005 Land Rover Freelander (LH) Driver side sun visor with light in good condition. Fits:2002-2005 Land Rover Freelander, 2 door, 4 door. Color: Tan. Part #: ED951310LUM. We try to respond ASAP. Description: Side window shade is designed to protect your kids or pets from dazzling sunlight and heat with flexible and stretchy mesh. Enjoy cool breeze inside with greater privacy protection! 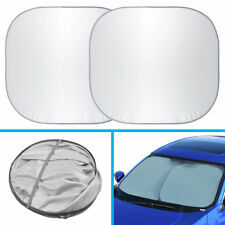 Entire Coverage for Sun Protection Stretchy mesh provides full coverage of the rear windows. Block out sunlight and heat. Prevent your child from getting burned and overheated. Ensure secure privacy protection. 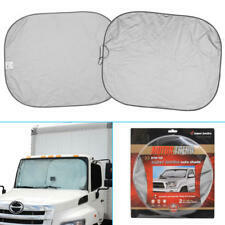 Cool Breeze In, Bugs Out Double layers of mesh enable you to roll down the rear window. Enjoy cool breeze from outside while keeping bugs and dirt out. Flexible Velcro Strip. 02-06 Land Rover Freelander 2.5L Sun Visors/ Sun Shades Set Of 2 OEM (L45). Used in very good condition. используется в очень хорошем состоянии. Verwendet in sehr gutem Zustand. 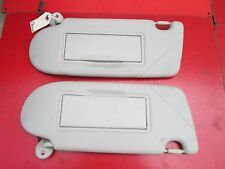 2004 Land Rover Freelander Sun Visor Set OEM. All electronics are tamper sealed, any tampering or removal of the seals will void all warranties. This is a used item. It will show light wear from use. Freelander : 2002-2005. Land Rover. Left side (Driver’s). Part was found on the following vehicles. 2002 THRU 2005 LANDROVER FREELANDER ! TWIN LIGHTED VANITY MIRRORS , THE. NEUTRAL IN COLOR & BOTH VISORS ARE IN. THESE VISORS ARE. TH ESE VISORS WILL FIT A. Be Sure To Include The Year, Make, Model, & Color! The Auto Windshield Snow Cover Magnetic Waterproof Car Ice Frost Sunshade Protector can save time and fuel costs by no longer having to defrost your vehicle. Instead of free your windshield from ice, snow and frost instantly! not Ordinary magnets, so won't fall or blow off. Magnetic edges protect your car from wind ,double stitched door flaps ensure a secure fit your car that can't tear or come loose.Very easy install, no need exterior straps, item comes with storage pouch. 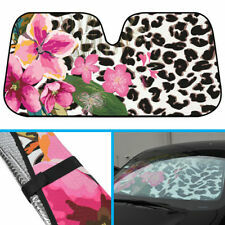 Universal fit for Car , SUV , Truck , VansIce, snow, frost, UV ProtectionThis windshield cover acts just like a blanket! With this cover on your car, it will eliminate scraping and brushing off snow from your windshield on those chilly morningsYou simply remove cover fr. 2003 - 2005 LAND ROVER FREELANDER DRIVER SIDE QUARTER GLASS. Land Rover part number found on the glass is 43R-007027. This piece, however, is in great condition. 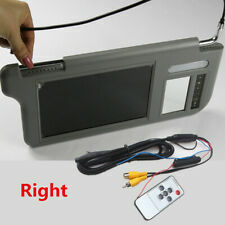 2002-2005 LAND ROVER FREELANDER GENUINE DRIVERS LEFT SIDE FACTORY OEM NEUTRAL ILLUMINATED SUNVISOR. THIS ITEM IS USED AND IS IN GOOD CONDITION WITH NORMAL WEAR AND MINOR MARKS. CANADA WILL BE AN EXTRA FEE. 2003-2005 LAND ROVER FREELANDER. 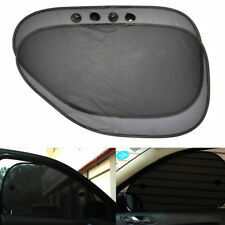 OEM SUN VISOR SET GREY. THEY ARE USED BUT ARE IN GOOD WORKING CONDITION. Connors Used Truck Parts. KING OF PRUSSIA PA.
2003-2005 LAND ROVER FREELANDER. 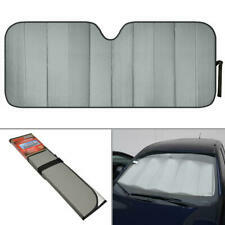 OEM LIGHTED SUN VISOR SET GREY. THEY ARE USED BUT ARE IN GOOD WORKING CONDITION. KING OF PRUSSIA PA.
2002-2005 LAND ROVER FREELANDER GENUINE PASSENGER RIGHT SIDE FACTORY OEM NEUTRAL ILLUMINATED SUNVISOR. THIS ITEM IS USED AND IS IN GOOD CONDITION WITH NORMAL WEAR AND MINOR MARKS. CANADA WILL BE AN EXTRA FEE. 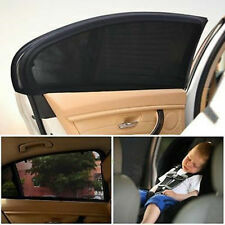 Great for any parent to be or just anyone who wants to shade the back windows without spending money on tinting. Suitable for most cars, vans, and SUVs. Repairs will be processed through the manufacturer, we will assist in the repair procedure in any way we can to expedite the process. When you hook the anti-glare visor with your original visor, the Toothed Shank side should be facing yourself. The anti-glare visor is supposed to hook with your original visor. How To Use The Visor. Good condition. Tan color. Has few stains on warning label. Fits Right side only. 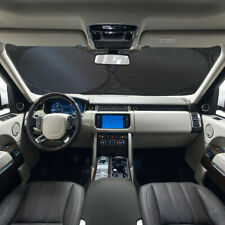 Intro-Tech Bubble Custom Car Sunshade For 2002 Land Rover Freelander Base. Computer precision cut for a custom fit, it reduces inside temperatures up to 35 degrees Fahrenheit. It protects leather seats from becoming hot and cracking while keeping the steering wheel and shift knob comfortable to the touch. VEHICLE REMOVED FROM: 2002 Land Rover Freelander May Fit other years, makes and models. CONDITION: This part is pre-owned with no major flaws. Superficial scratches on both sides. 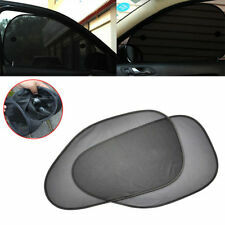 2pcs 50cm x 47cm ADJUSTABLE VIP CAR WINDOW CURTAIN SUNSHADE UV PROTECTION Black. We suggest 50cm length for front seat is better, avoid blocking the rearview mirrors. If car window height is between 37-43cm, pls choose S size. 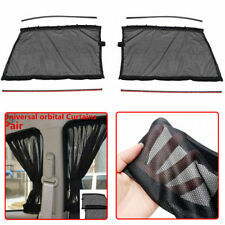 2 x Car Window curtains. 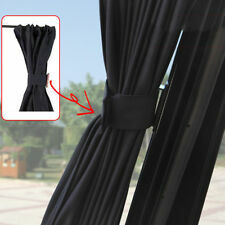 This is not customized curtains, it only have 2 different sizes, so the effect is different for each car. We suggest 50cm length for front seat is better, avoid blocking the rearview mirrors. Good condition. Tan color. Has few minor stains on warning labels. Fits Left side only. DIRTY SCUFFS 2002-05 LAND ROVER FREELANDER SE LEFT DRIVER FRONT INTERIOR SUN VISOR SHADE OEM. Sun Visor/Shade. ACTUAL ITEM PICTURES. Taillight and Headlight Bulbs are not included in the sale. If you receive one. Covercraft UVS100 Sunscreen - Carhartt For Land Rover 2002-2005 Freelander. This premium quality, custom patterned folding sunscreen features the iconic Carhartt logo with a brown reflective finish. Iconic Carhartt Logo. Pair of sun visor clips from a 2005 Land Rover Freelander. Free shipping! Thanks for looking!